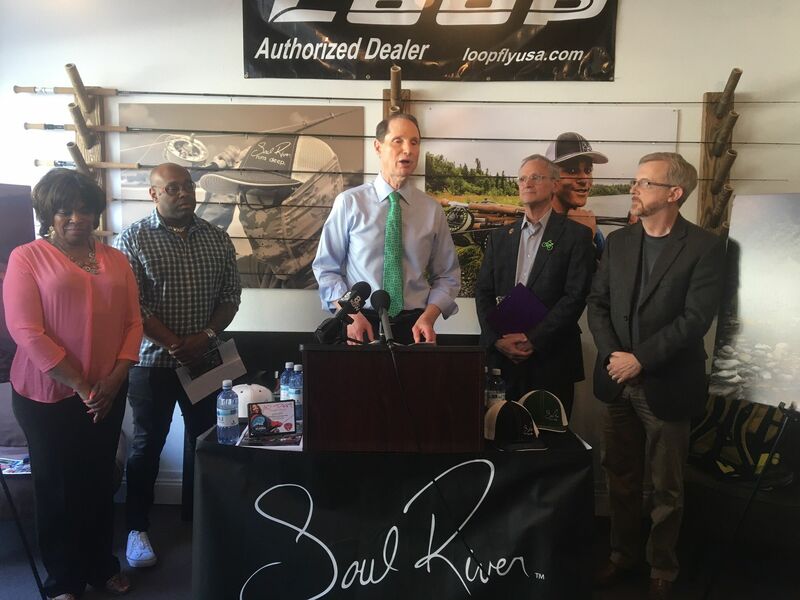 Soul River Inc. Partners with Oregon Politicians to pass “Recreation, Not Red-Tape Act.” - Soul River Inc. 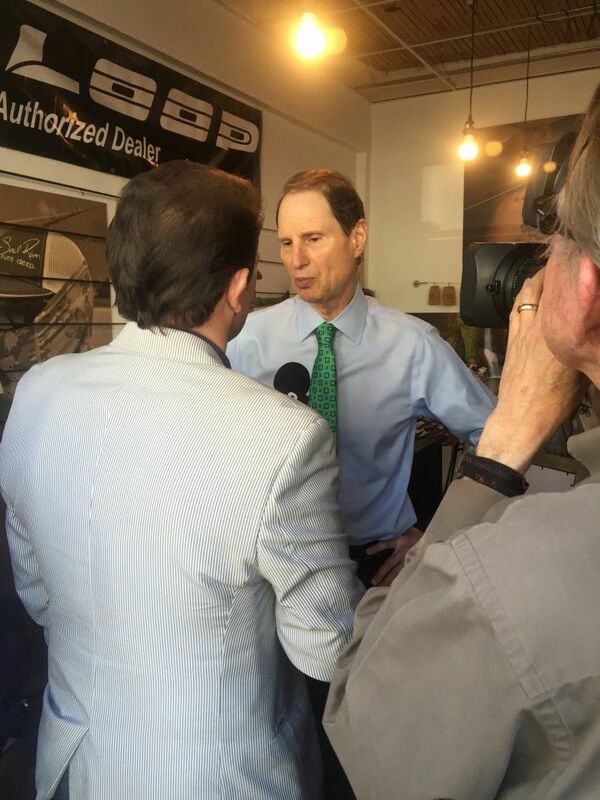 It was a special experience for me to be able to attend the Seven Wonders of Oregon tour with Senator Wyden and Congressman Blumenauer last year. Everyone’s stories during those meetings made an impact on me. And I think perhaps my story made an impact on others. My PTSD took me to some really dark places in my life. But rivers have helped me heal. I remember the first time I hooked in on a fish – I smiled for the first time in months. This was my sign to stay connected with the outdoors, whether it be through my design and apparel brand or to advocate for all people to have accessibility to the outdoors. Out of this healing experience came Soul River Runs Deep, Portland’s first outdoor lifestyle apparel brand inspired by fly fishing. 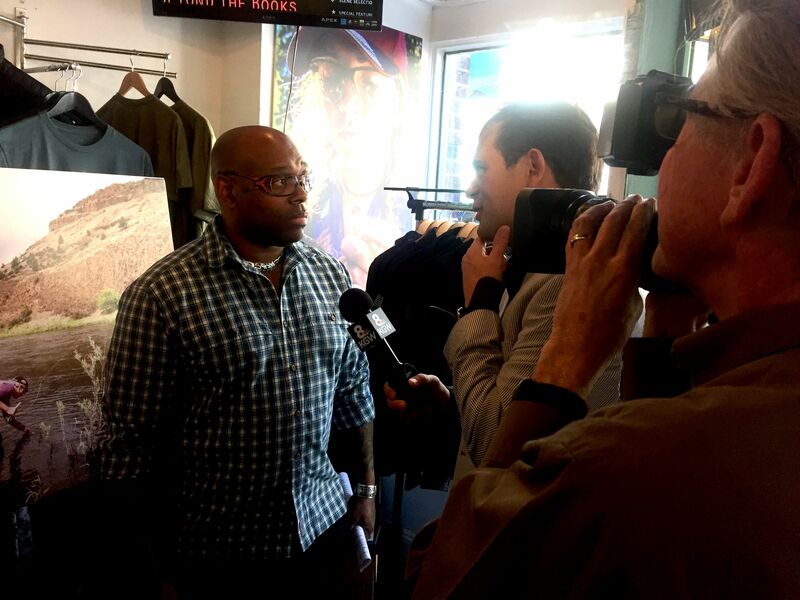 For every product sold at Soul River, 15% is given to our nonprofit Soul River Inc. Our mission is to serve veterans and inner city youth, many of whom are people of color, by connecting them to the outdoors. We use fly fishing as a base to build relationships through mentorship and creating ambassadors of conservation. So I am really happy that the “Recreation, Not Red-Tape Act” will make it easier for youth and veterans to get outdoors onto our public lands. I know firsthand that veterans can heal with the help of the outdoors. I didn’t really make that lifesaving connection until after I left the military. So that’s why I think it’s great that the bill encourages all military branches to allow active-duty service members to engage in outdoor recreation activities. Most of the youth I take fly-fishing for the first time have never been to public lands before. And for many it’s not easy for inner city youth to make it out of the city to go hiking or fishing. That’s why I think it’s smart that the bill uses schools to help get youth outside. Under the “Recreation, Not Red-Tape Act”, agencies will give free “America the Beautiful” passes to schools that serve low-income students and their families. 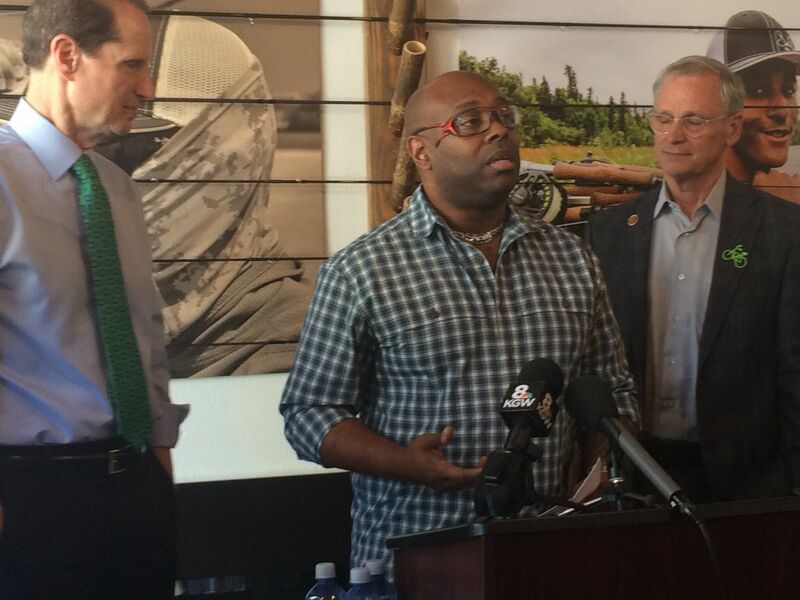 Until the bill becomes law, I’ll keep doing my part to get youth of color out into the great outdoors. In fact, I have seven trips planned this summer exploring all public lands. I’m very excited to teach more youth how to fly fish in those deep river canyons and show them ancient tribal artwork on rock faces in Owyhee Canyonlands. I couldn’t be more thrilled to teach youth how to navigate through the Arctic Circle while maintaining their scientific journals. I am ecstatic to continue our annual trip to the Deschutes and it’s raw beauty. Thank you all for your continued support. I am committed to working to protect our amazing public lands and waters, so that ALL generations today and tomorrow can continue to use and enjoy them. I am proud that Senator Wyden and Congressmen Blumenauer are leaders of this cause as well.